Super Bowl Sunday is a revenue bell cow for Las Vegas casinos and a can’t miss attraction for the sports betting community. Viewing parties fill quickly and free seats in the sportsbook share the same endangered status as 3-2 blackjack on the Strip. Make arrangements early or you’ll be catching the big game from an Applebees. On the day of the game, ensure your wagers are in with plenty of time as lines will be out the door. Your best bet is to sign up for your sportsbook’s mobile app and have that piggy bank stuffed so you can get action anywhere, with no wait. Watch parties provide a lively atmosphere, food and flowing beverages to help you celebrate your gambling conquests or make your losses seem bearable. We aimed to create a complete list of 2019 watch parties so that you can make your Super Bowl in Las Vegas plans. 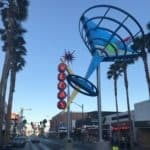 Many of the big Strip properties host invitation only watch parties, but many also offer a paid option to the general public. We will add additional parties as they are announced. Let us know if any were missed! We’ll start with the free watch parties. 5 separate viewing parties in one location, South Point will have on-site wagering available in, or near, each of their viewing locations. Doors open at 10:30 so get there early to claim your preferred seat. Food Specials include $1 hot dogs, $1 popcorn, $3 pizza slices and $5 chicken wings to name a few. Drink deals include $25 beer buckets (6 beers) and $5 cocktails. More info here! Located near the D off Fremont Street, this Super Bowl watch party is free to enter and will have food and drink for purchase. Table and man cave reservations are available here. Recognized as one of the best sportsbooks in Las Vegas by this blog, Westgate offers a solid Super Bowl watch party for $175 that includes all day buffet and open bar. A solid value at a property accessible by the Monorail. View more info here. Located just off the gaming floor at Mirage, The Still is in a great location to enjoy the game while indulging in an extensive drink menu to include over 50 beer options. Doors open at noon and there is a $250 food and beverage minimum spend per attendee. Reservations can be made here. The Big Game Party at Hard Rock will set you back $220 in 2019 but provides guaranteed seating in the 3rd floor concert venue, an open bar from 3 – 7:30pm and a game day buffet. Call (702)650-8590 with questions and book tickets here. Located in the D ballroom, this Super Bowl Viewing party is $150 per person and includes unlimited “stadium style food and beverage”. View more info here. For $100 Plaza delivers a viewing party located in the Sierra Ballroom with an open bar / buffet starting at 2:30 pm (prior to 2:30 the bar is cash). Book before December 1 to receive $20 in free slot play or dining credit. View more info here. If you are feeling a bit more risque, Sapphire has a $75 dollar viewing package for a seat in their main viewing area, access to a “lavish tailgate buffet” and complimentary transportation. View more info here. Located right on the strip at Planet Hollywood, Blondies watch party starts at 1:30 and costs $200 per person ($50 up front and $150 due at the door). The package will deliver seating, access to their premium buffet and open bar which includes top shelf options. View more info here. Situated on the Linq Promenade, Brooklyn will again be hosting their Big Game party in 2019. Packages start at $89 and include access to the buffet, all you can drink Bud Lights / rail drinks. Bowling is not included. Also nestled into the Linq Promenade, Virgil’s is offering $150 packages to their Super Bowl watch party which includes access to their premium bar from 3-7:30pm which, as inferred from the name, features premium liquor options. Also included is a buffet offering ribs, pulled pork, Texas beef brisket and a dessert buffet. View more info here. Located off the Strip near the Hard Rock Hotel and Casino, Hofbrauhaus will be offering a $125 package which provides seating in the beer garden, access to the buffet and an open bar. View more info here. This $80 package includes an open bar from 2pm to the end of the game although there is an option to extend the open bar to noon. Also included in the base rate is an appetizer buffet. View more info here. Located within Caesars Palace, Searsucker will be offering a Super Bowl watch package for $75 dollars that will grant access to the buffet featuring Short Rib Sandwiches, Beer Brats, Sliders and Duck Fat Fries. Drinks are not included, however, deals will be offered. View more info here. One of the best views on the Strip perched atop Paris overlooking the Bellagio fountains, and you’ll pay for it. A ticket to Beer Park’s Super Bowl watch party starts at $200 and includes buffet style food. Doors open at 2pm and drinks are not included. View more info here. Also located at Paris, Chateau also offers a buffet but no drinks for $100. Honestly, I don’t understand attending a party that doesn’t include drinks. There are better options. View more info here. Where is your favorite place to catch the big game in Las Vegas? Let us know in the comments! Tucked behind Bally’s just off the strip, Ellis Island’s party kicks off at 2pm and runs through the end of the game. For $90 you can gain access to the buffet and all you can drink beer/well drinks. Upgrade to Pigskin Pig Roast Ticket for $150 and your buffet is upgraded to include BBQ items from Ellis’ restaurant. View more info here. Set a bit off the strip, Hooters is known for value gambling and hot wings. Hooters’ Super Bowl watch party provides guaranteed seating, all you can drink beer and buffet for $99. Email KarenDavis@hootershotelcasino.com for reservations. ← Casino Loyalty Program Credit Cards – Should You Have One? 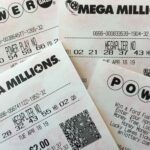 No Lottery in Nevada? Why? !